The bike was bought in August 2018 and has been well cared for so it still looks pretty new. It had a rack over the back wheel. Both wheels had anti-theft locks installed as well as the seat. It has a u-lock hanger on the main frame as well as a front-light on the handle and a back-light on the rear side. I am a student at IIT. 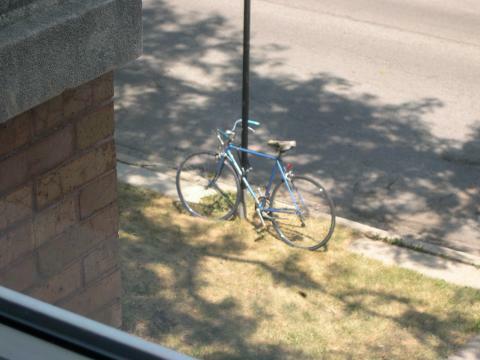 I locked my bike on the bike rack in between the life sciences and engineering building at 1:50 pm, the location is a very well transitted spot by members of the IIT community, it is about a 100 feet away from State Street. At around 6-6:30 pm as I was about to go home my bike was not on the rack, I checked for any evidence but there was none, both the lock and the bike were missing. A report was filled with IIT's public safety and with CPD.